The Carmona olive mix is a selection of unique varieties and traditional Spanish olives. The mix contains cornicabra, zorzaleña, verdial, cuquillo and gordal olives. 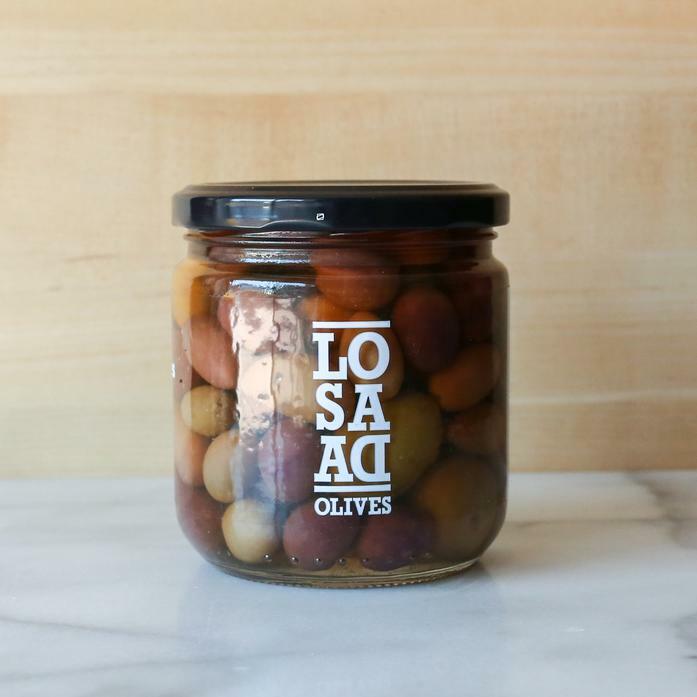 This five olive mix provides a variety of sizes, colors, textures, and flavors in one jar and is named for Carmona, the town where Losada has resided for more than 50 years. The olives are naturally brined in water and sea salt, with small amounts of lactic, absorbic, and citric acid.